The Norton Commando is arguably the best British bike of all times. 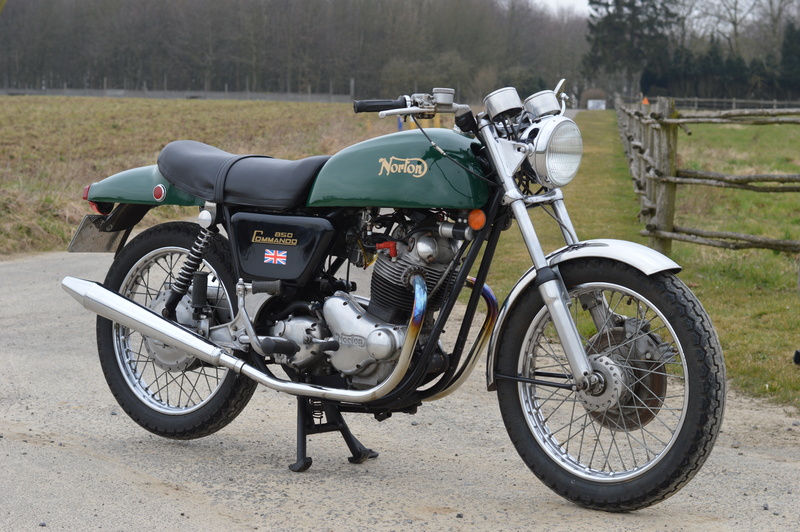 Raw, charismatic performance, a steady and comfortable chassis and a beautiful design certainly convinced a lot of people when Norton launched the first Commando in 1967 on the Earls Court Show. The big twin’s engine design originally dated from Bert Hopwoods 500cc Model 7 (1947) but was increased in capacity and improved throughout the decades, delivering 60hp in the 750cc form. The revolutionary chassis (for a second time after the legendary McCandless Featherbed) featured the Isolastic system, where the vibrating twin was supported by silent blocks that could be adjusted, making sure the rider was separated from the engine vibrations. The Commando was elected bike of the year (in the UK) from 1968-1972. Also the many racing successes with famous names like Paul Smart, Peter Williams and Phil Read added to the desirability of the Commando. Williams was the leader of the factory racing team and designer of the John Player Norton. During the next years Norton launched several variants like the Roadster, Interstate, Fastback and John Player Replica. Enough history, let’s talk about this Commando! This MkIIA Commando was originally supplied to the UK Police force in ’74. 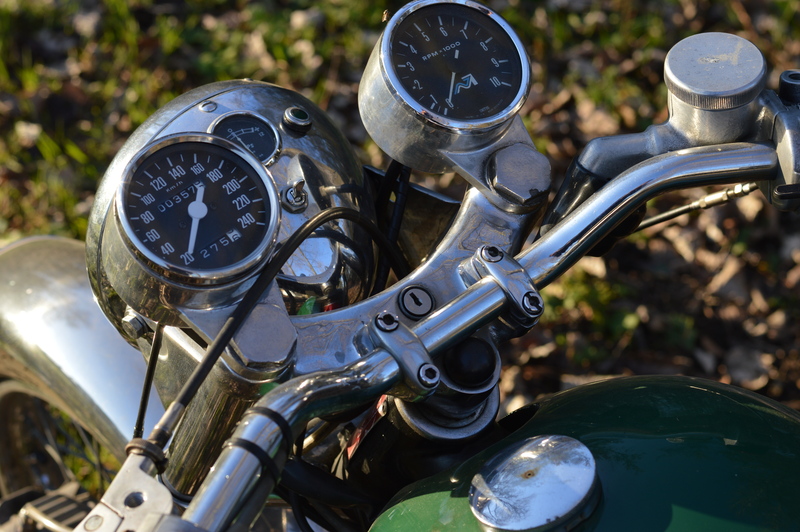 The bike is fitted with an Italian-built frame (which the Norton company did for a while in 1974) and a 850cc MkIIA engine. The bike came to the EU at the end of the 70’ies and was meticulously restored in the late ’90’ies by a Belgian specialist. 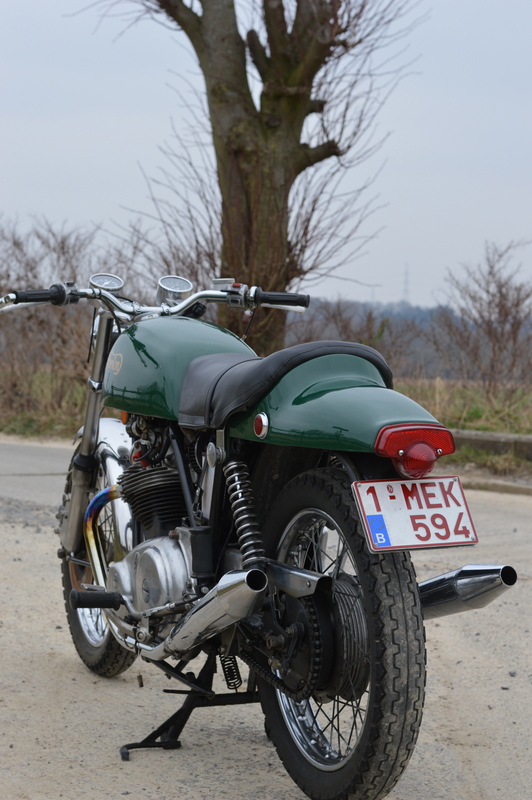 It was chosen to keep the steel Long Range fuel tank and add a Fast Back tail section, so that it would be a Long Range Fast Back – replica (only 400 were made from ’71-’72, in 750cc form). This bike also features upswept peashooter exhausts, electronic ignition, a single Mikuni conversion and vernier adjustable isolastics. To me, this Commando is really magnificent, the dark green paintwork with the golden Norton sign, I always preferred the Fast Back shape and the engine… WOW! It mostly bursts into life first kick, produces a hair raising roar and produces massive loads of torque. When riding this bike, I never felt driving a 70’ies bike, it is so smooth-shifting, vibration free, has good brakes, an elastic power band and well… maybe a bit antisocial with the loud pipes, anyway safety first no? She comes with Belgian documents (my personal bike!). Doesn’t need any work, is in great condition and a real eye-catcher, ready to be ridden! 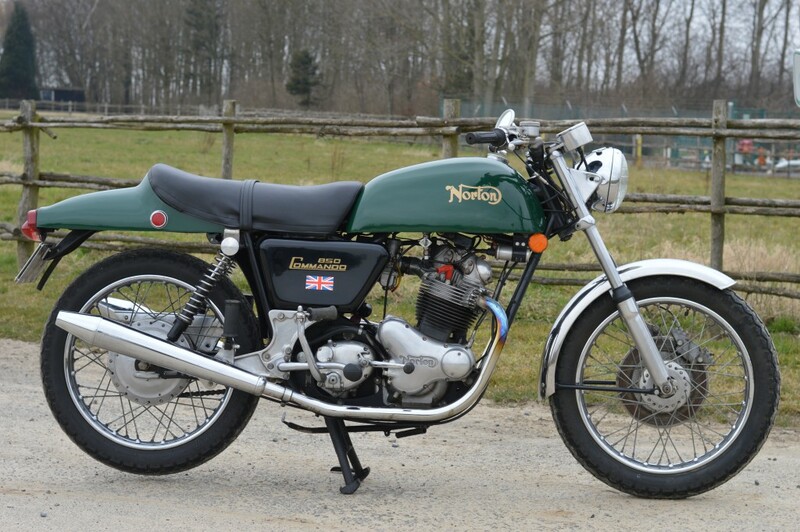 Whoever buys my Norton, I guarantee loads of fun and proud ownership.